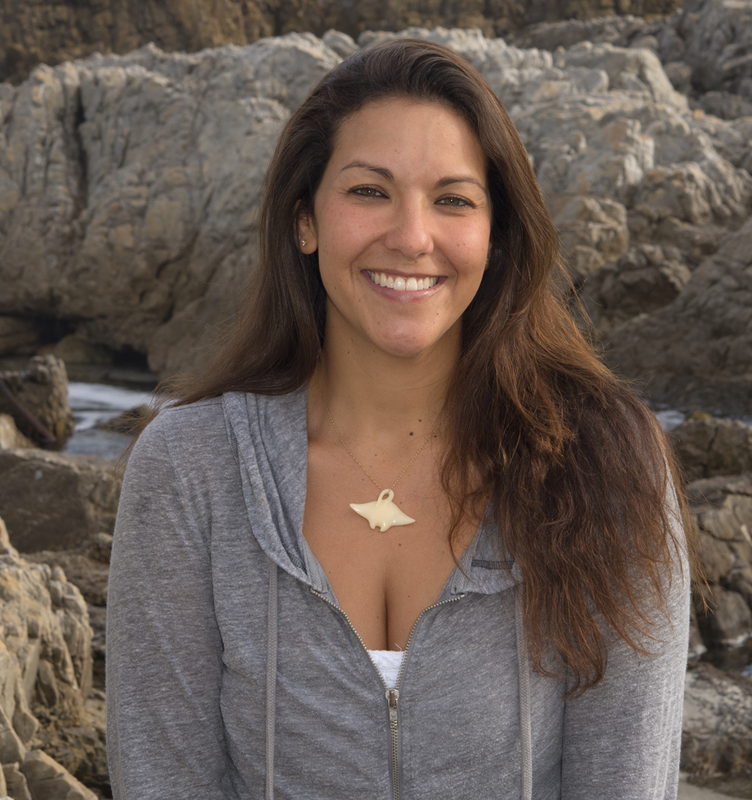 Educated in the United States and Australia, Andrea was the first person in the world to complete a PhD on manta rays. After completing her thesis in 2008, Andrea stayed on in Mozambique to spearhead the conservation efforts of this species along this remote coastline. Along with other members of her team, she founded the Marine Megafauna Association, which grew into the now widely known Marine Megafauna Foundation. Vowing to dedicate her life to the preservation and management of the manta ray population in southern Mozambique, Andrea still calls this coastline home. Her passionate commitment to marine related issues in eastern Africa helped to shape her goals as a conservation biologist. 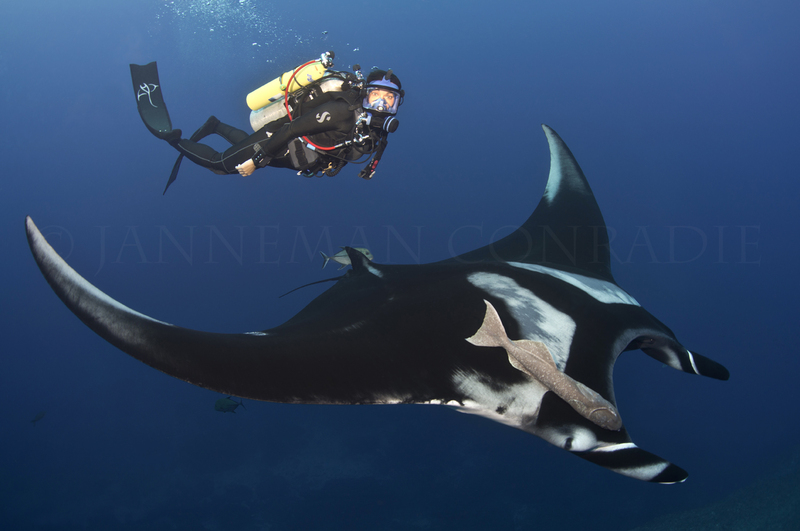 Now a global ambassador for manta rays, Andrea continues to pursue international conservation initiatives for manta rays and fight for their protection worldwide. As lead scientist for one of the Marine Megafauna Foundation’s flagship research programs, Andrea travels the globe researching manta rays full-time. Her travels have taken her from Ecuador to Egypt and seemingly everywhere in-between. Over the last five years alone Andrea has traveled to over a dozen countries on five continents as a part of her ”Ray of Hope” research expeditions. Having amassed some of the largest photographic databases and genetic libraries of manta rays in the world, she and her collaborators aim to develop robust research programs on these poorly understood rays. A decade and a half since she began her work in Africa, Andrea continues to examine aspects of their biology, reproductive ecology, habitat use, migrations and social behaviour. 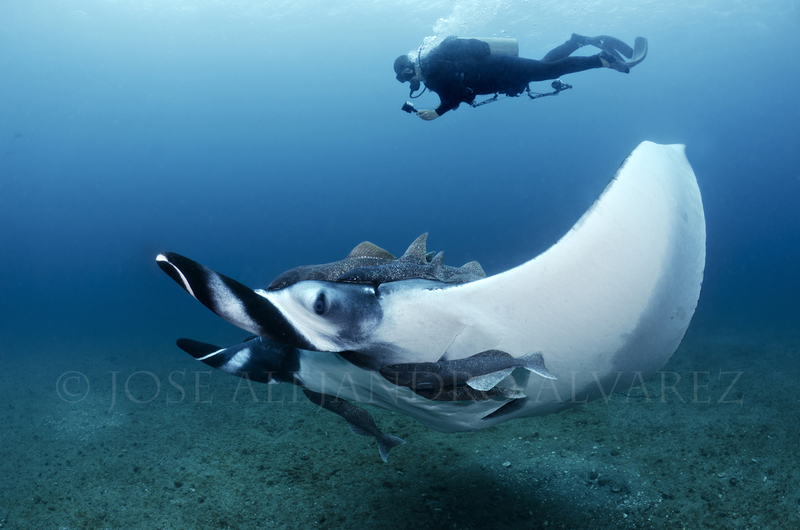 Aside from dramatically increasing the level of knowledge on manta rays themselves, Andrea’s discovery of a new giant species of manta ray in 2008 was one of the largest new species to have been described by any scientist in the last 50 years. 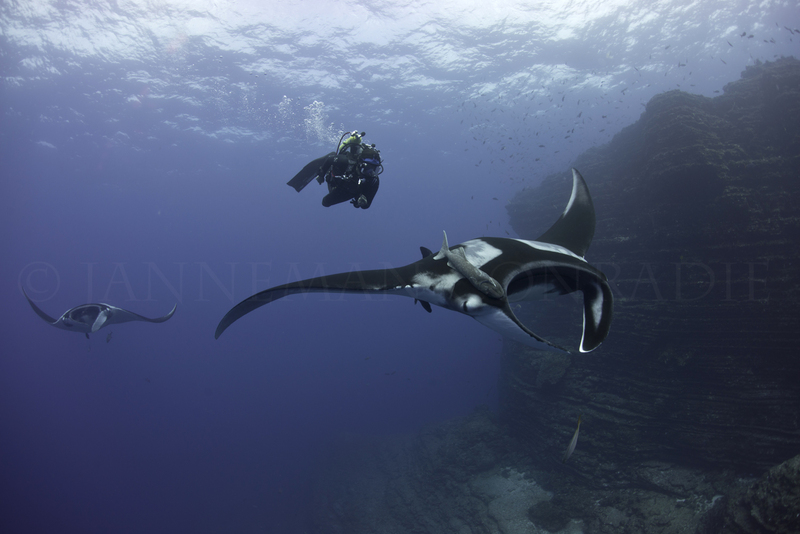 She is currently working towards the description of a third Manta species. Using her extensive travels to uncover anthropogenic threats to manta rays and expose unsustainable fisheries for them, Andrea remains deeply committed to developing better management strategies for regional populations of these rays and their critical habitats. Learning to SCUBA dive at a young age, Andrea was certified at the age of twelve. Thousands of dives later Andrea dives for both pleasure and her profession, as one of the leading marine field biologists in southern Africa. During her 24-year dive career Andrea has traveled to the ends of the globe both as a scientist, researching sharks and rays, and also as a professional underwater photographer. She fell in love with photography at an early age when she was taken under the wing of marine cinematographer Tom Campbell. Years of mentoring deepened her appreciation of photography and prompted a lifelong affair with the art. Also early in her career Andrea began exploring the world of technical diving and found it to be useful for both research and photography. Throughout the years she has used her technical diving background to push the limits of her research in an effort to survey new habitats and remote locations. A bona fide marine explorer, Andrea has logged several thousand dives around the world and particularly enjoys scouting for new reefs and documenting rare marine life. Her extraordinary encounters with elusive species such as the small-eyed stingray and the snaggletooth weasel shark have earned her publications in numerous scientific journals and popular magazines alike. Armed with her own camera and often accompanied by documentary crews, Andrea has introduced the world to a new frontier of African diving. From the BBC’s award-winning documentary on her life to National Geographic’s Pristine Seas expedition to Mozambique, Andrea continues to use hard science and visually stunning media to capture the world’s attention and focus it towards conservation. Andrea lives with her husband and fellow marine conservationist, Janneman Conradie in Vilanculos, Mozambique. Her Foundation’s African Research Headquarters, the Manta Ray and Whale Shark Research Center, is based in southern Mozambique where her international team conducts research throughout the year. Andrea was chosen as a National Geographic Emerging Explorer for 2013. Show your support for Andrea’s research efforts by donating to her Manta Ray Research Program, Adopting a Manta Ray, or purchasing one of her Ray of Hope research t-shirts on MMF’s online store. Want to meet Dr. Marshall in person? Why not travel with her abroad on one of her wildly popular Ray of Hope Expeditions.